Category: This is what’s up. Eight years ago, I started this blog to record my thoughts through all of my travels. Lately, I haven’t really recorded my thoughts as much as I should. I’ll get back on that. I do tweet a lot, which has become the nature of the game when you work in a social media platform. Cities traveled in 2015- US: Santa Cruz, Boston, Phoenix, Los Angeles, New York, Laurel, Mississippi, New Orleans. World: Tokyo, Japan! Best city I ate in 2015: San Francisco. Some of the best carefully poached eggs, Japanese sushi in a grocery store, and oysters, oysters, oysters. My favorite trip was to Tokyo, Japan in November for eight days. It was the first time I went back to the country since leaving in 1992 as a child. I saw my best friends from college twice this past year- an unusual feat. First was over the summer at our five year reunion at Wellesley College, and then in Mississippi to celebrate Magdalen wedding (the first in our group). Both events marked how much we have been forced to grow. Best late discovery of the year: Shabu Shabu in Nabe. We fell in love with this little shop sipping on spicy miso soup and cooking slices of raw kobe beef and mushrooms (only I, eat the vegitables). Given my new home is cold all the time, I realized I actually can repeat a certain experience over and over again. Exhibition to remember: Picasso sculptures in MOMA, New York. Breakfast that revolutionized my life was realized in 2015: steel cut oatmeal. But only the way Twitter cafeteria makes it. I always wondered why Americans loved this bland thing but I get it now and I can’t describe it. Best indulgent discovery: The famous Tartine Bakery in San Francisco. I have only been here three times, twice with my sister and once with my parents. I say indulgent because the $5-$6 fluffy, buttery croissants are heavy, delicious, warm, and gives you feelings you reserve for your loved ones. Worth the morning wait with my cup of coffee from a no-name corner store. Best gift: My father. Happy to spend time with him this year, show him my work and that his daughter can take him out to eat now and pay her own phone bills. Best next gift: a beautiful silver watch full of meaning in the beginning of the year. It was picked without knowledge and slips into my wrist every morning. You know who you are, thank you for picking this as your first toke to me. There is a theme of food on this post- expect it to seep into Lyrics this year. San Francisco and Anthony Bourdaine does something to you. My flight to Nairobi was something on its own to note because, well, it’s just surprising. People on your flight: American missionaries, American college kids doing research on AIDS/HIV or education (or the typical developing-world-issues, you pick one), nuns, families going on safaris, and ‘volun-tourists,’ or a type of tourism where you also ‘volunteer’ to make yourself feel better, and lots of Europeans who are going on similar purposes. The flight from Brussels included an American priest who decided it was his job to loudly recite prayers before takeoff and during landing. The general voice level is excitement, of ‘going to Africa’ and ‘saving the world.’ From my other posts on this blog it should be clear that I have an issue with this whole ‘saving the world’ mantra that travelers from the West has continued to feel obliged to do, especially those who can also afford to go to this very, very large continent. The passengers on religious missions was a bit surprising because I did not know that still took place so actively. The volunteer tourism is a bit more problematic. While the purpose of it has been marketed to promote responsible visitors and allow people to engage in sustainable tourism, it is still tourism in which people, mostly affluent families from the US, are enforced the feeling of 1) false superiority, direct of indirect, 2) the assumption that the location of their volunteer tourism is in a dire state, 3) still expect to be treated as a superior and have all the amenities of a vacation, and especially nice things since it is a developing country. All of this might sound extreme but I feel that this new volun-tourism is just perpetuating socioeconomic divides, and more controversially, racial divides (I use the word controversial because people still feel queasy pointing to the elephant in the room, but yes, this is a racial issue). Such volun-tourism is more about boosting the ego of the tourists who are landing at the airport and being escorted by nice cars to their nice hotels (all of which are not only expected from the tourists but also surprises them because they thought they were coming to a developing country and people are supposed to be poor, an obvious double standard). Also, not all locals want to be reminded that they need help, or asked for help, or even actually need help in the first place (living standards and what is deemed as ‘approprate’ and not are objective, after all). Of course this is not to push down intentions or to say all volunteer tourists are ignorant, but an element of ignorance is there. Bangladesh has recently started to jump on this whole volunteer tourism thing, where marketing companies are hired by travel agency to make fancy websites and charge unbelievable amounts for packages to do things that locals usually laugh at, and locals are always better at. I remember talking to someone who worked at such travel agency and he told me how it’s usually something like letting the tourist teach a class at a school, clean fish freshly caught from pollutants, and other tasks that are not dangerous (because if something happens to the tourist, well, that would ruin the whole purpose, and this also assures that the demands of safety are met by these tourists), meager, and, just funny and costs next to nothing for the agency to arrange. What does help is that the amounts paid by these tourists to do what locals would deem as odd activities to actually help trigger employment in the area. Lets not forget that these tourists are not going to be given some cultural background or education on the way people usually live in the area so again, they are coming in with the idea that their society and living standards is automatically better than the host country. I am not sure that there is a solution other than asking people to go read some books. Tourism is a great cash cow and a way to boost a region’s economy, and even help local employment and small businesses to an extent. Exploitation of perception, and increased conviction of ‘developing world poverty’ after such visits are a social issue, which goes beyond reading books. The blog started in 2009 as a way for me to log my traveling experiences, starting with Egypt where I studied abroad. 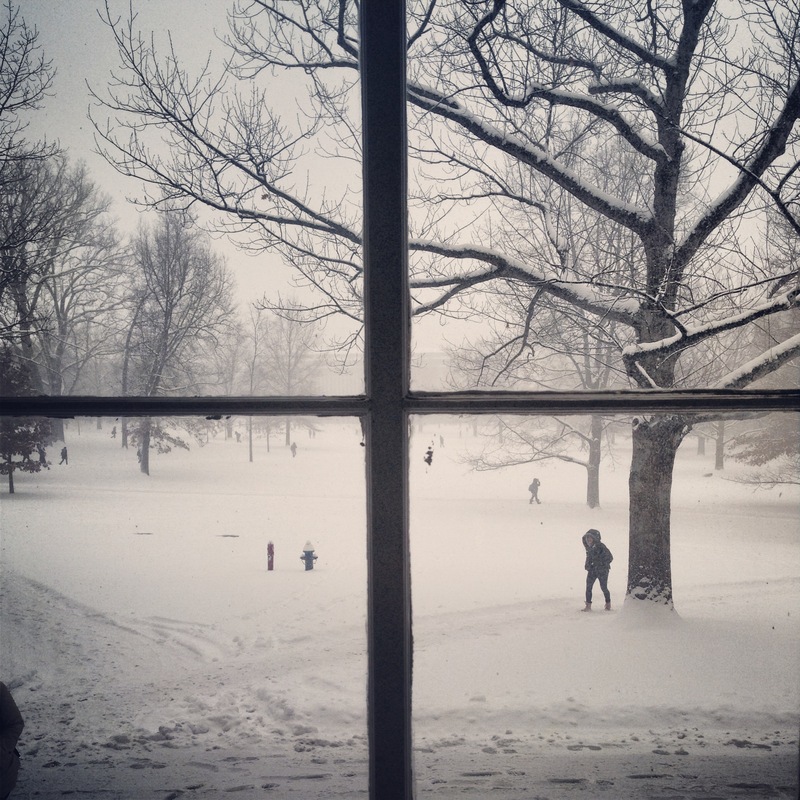 I think it is fitting that on that theme I get back to this blog. I am currently writing from Nairobi, Kenya, a country in a region that I have been thinking of traveling to forever but didn’t realize it could happen. When the opportunity came, I took it in a heartbeat. But before getting to Kenya, it is only fair to give a little update. Since March, my last post, I have completed my MPA at Cornell, graduated, enjoyed the warm weather in upstate New York, packed up, and traveled around the East Coast, including a week back in my favorite city, Boston. I got a tan, I have eaten a lot of roasted corn, and also managed a few weeks in Arizona with my family. That is probably the shortest summary I can give for the purpose of this blog and what it symbolizes– this is not a personal diary. Returning to Kenya: I came here on June 2, so it has been a few days. 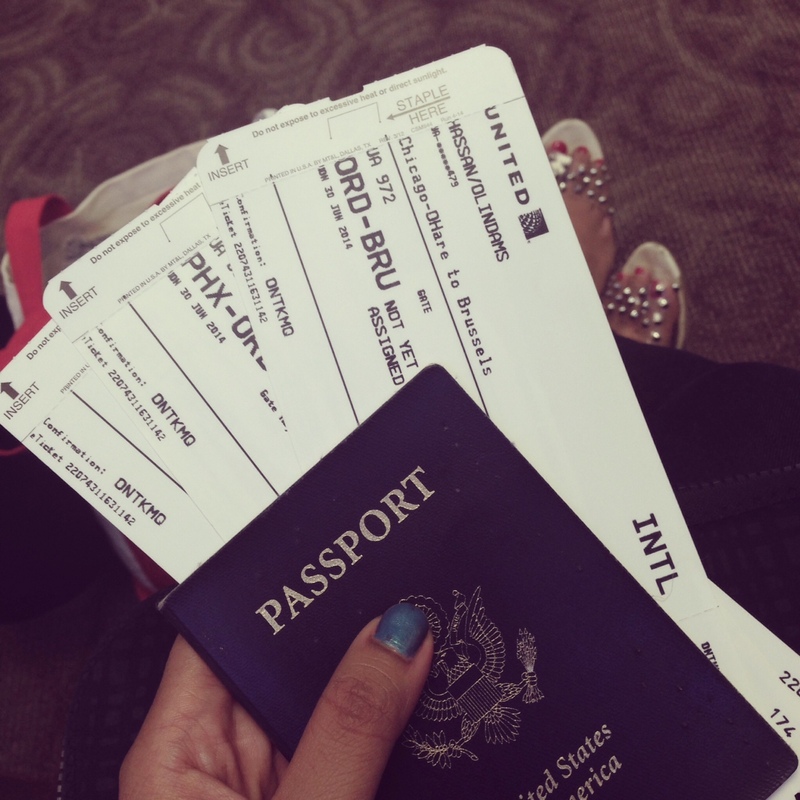 It was the longest journey I have ever taken (and I have taken a lot of long flights). It went from Phoenix to 5 hour layover in Chicago, to 8 hours flight to Brussels (all made painful by the fact that I had to fly United, internationally…), and then an 11 hour flight from Brussels to Nairobi, with a one hour stop in Kigali, Rwanda in between. Needless to say, I spent the next day passed out in a very comfortable bed at my friend Bev’s apartment. Which brings me to purpose– it just so happened that one of my best, closest friends, Bev, was in Nairobi finishing her Princeton in Africa fellowship so I jumped at the opportunity. We went to college together and have a history of traveling, with our friendship beginning in Morocco of all places back in 2008 on a Wellesley wintersession trip. So in the next two weeks or so, I will try my best to post on Nairobi like my travel posts in the past. It will not be frequent, but hopefully, relative. Seeing as upon my return to the US this blog might turn more America centric, or rather, California centric, I hope the summer can bring me back to my hobby of writing and embarking in uncomfortable spaces. 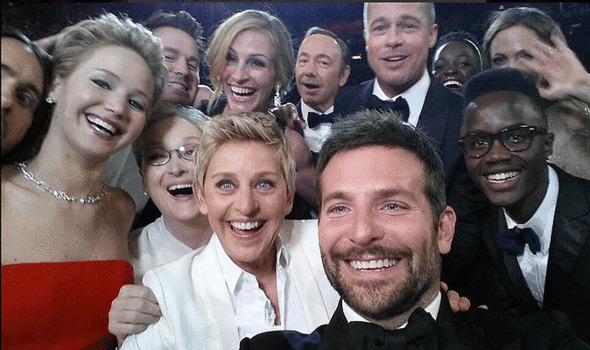 On Sunday March 2, Ellen DeGeneres’ celebrity-filled selfie at the Oscars generated almost 3 million retweets on Twitter, breaking the previous record held by President Barack Obama and First Lady Michelle Obama in 2012, by millions. The tweeted photo, along with online conversations of the Oscars on Twitter was of such volume that the platform actually crashed for some time. It was one of the most active nights of social media use. The tweet was groundbreaking not because it was a rare moment of celebrity crowding, with some of the biggest stars of our time coming together impromptu to take a in-the-moment photo, on live television. It was groundbreaking because the sudden scatter of celebrities was not DeGeneres’ point. Her goal was to set a retweet record. DeGeneres’ purpose was to make a point that purely dealt with communication in the newly evolving digital media, completely dependent on users who must find an element of authenticity and interest to interact with the tweet. This fact has created much anxiety among marketing experts and policy makers alike. It was a homage to viewers, apty done in a fashion that combined what seems like a fad, and a bit silly. It however speaks volumes to where social media networks have come to be in our society. DeGeneres, her PR crew, as well as Samsung, the phone used to take the selfie all realized what academics have long argued– digital media is not only commonplace but pervasive. We are in an era where generations have, and are growing up with digital media embedding in their social fabric. Twitter in particular has been imaging increasingly as a news outlet, becoming the headrunner in this new age of digital media. It is a platform where special niches gain a voice and make splash in the ocean of information providers just but creating an organic comment that sometimes needs just a bit of attention, often randomly. The shared online presence thus becomes quite the playground for products, where gaining visibility is dependent on general consumers. It provides new challenges that come with creating something that would amplify discussions in a customized language of 140 characters. DeGeneres’ selfie on Sunday also attests to the fact that social media services have become a playing ground for companies and their advertising teams, revolutionizing the way not just products but campaigns, people, and ideas are promoted. Samsung executive spent a few days prior to the Oscars to train DeGeneres on how to take a selfie with their smartphone, an intended plug that was part of a $20 million advertising campaign. Twitter in particular proved to be the ideal social media service of choice, as the platform has increasingly become a common tool for real time discussion on televised programs. Facebook, Google, and Twitter are not longer one of the viable areas for products to tap into for advertising. They are becoming an advertising standard. Twitter itself has piggybacked on the already diverse range of online conversations taking place to partner with ABC, CBS, Fox, to ESPN and major sports organizations in recent years. This is a good news for such services of course, as their main source of revenues are heavily (and dangerously) dependent on advertisements. Social media services have positive network effects– they are only valuable to a user if there are other users. Likewise, Twitter is only valuable to Samsung or Apple if there are large number of users. As the weekend revealed, it is not just the number of users, however. The photo that DeGeneres posted generated much media attention that also cited Samsung (and also the iPhone indirectly, the preferred cell phone of the Oscar hostess). The brand marketing went far because in this new digital media technology, ownership is not central, and power belongs to the masses. The selfie that DeGeneres’ prompted also included celebrities from different generations and caliber, from Meryl Streep, Kevin Spacey, to Jennifer Lawrence. The idea of a “selfie” itself is a new fad that has sparked much discussion online on its narcissistic traits and wide use by the youth. While social media has been largely attributed to those in media and tech savvy younger generation of internet users by researchers since early 2000, the conversation has been shifting as people from all generations and demographics have taken up the popular tool. This is due to the increasing use of smartphones and greater access to internet, both led by government policies and competitive markets alike. Therefore, the common inference of technology, i.e. social media sites driving a social change (especially by those that fear the increasingly invasive nature of social media on privacy or individuality) is challenged. DeGeneres’ explicit purpose– to get the most retweets– speaks volume to social media networks’ place in how we communicate, even if one does not have a Twitter account. The selfie itself demands attention and everyone is forced to pay attention. However, such a notion is not new– US President Barack Obama was one of the pioneers to taking advantage of the power that social media may have during the 2012 election. We have entered a social media-driven business model, where user connections and interactions is directly linked to technology. The co-founder of LinkedIn Reid Hoffman expressed it well when he noted that the way we use social media as users and by governments and corporations will be the most transformative uses of the internet. We are part of a greater social change in which communication between one another from varied demographics is changing many landscapes, including politics. Social media is just one of the driving forces. While DeGeneres’ selfie seems like just a publicity stunt, it reminds us that more often than not, new technology is merely part of a broader social and/or historical development that is already taking place. I know this is a bit “dorky” but google search of ‘Bangladesh’ today shows my article that was published in The Diplomat today! 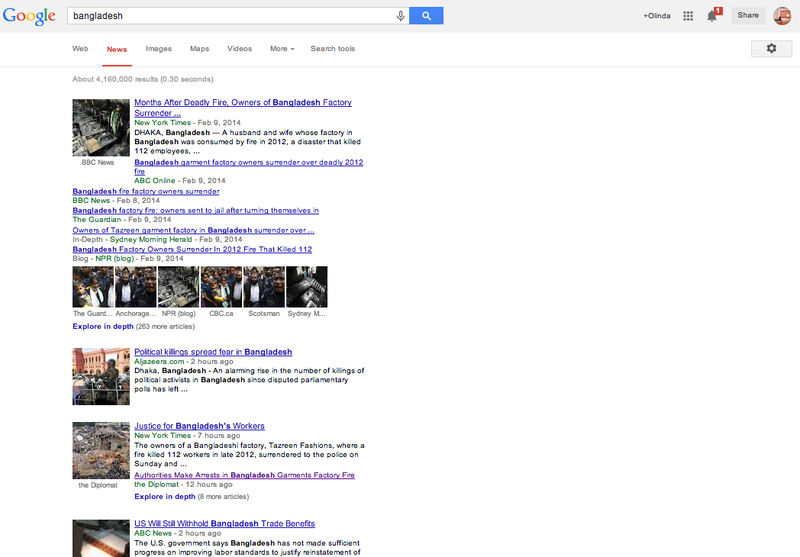 Specifically, under “news.” Also know as, google Bangladesh today in Google News! Anyways, to read the article titled “Authorities Make Arrests in Bangladesh Garments Factory Fire,” click here. 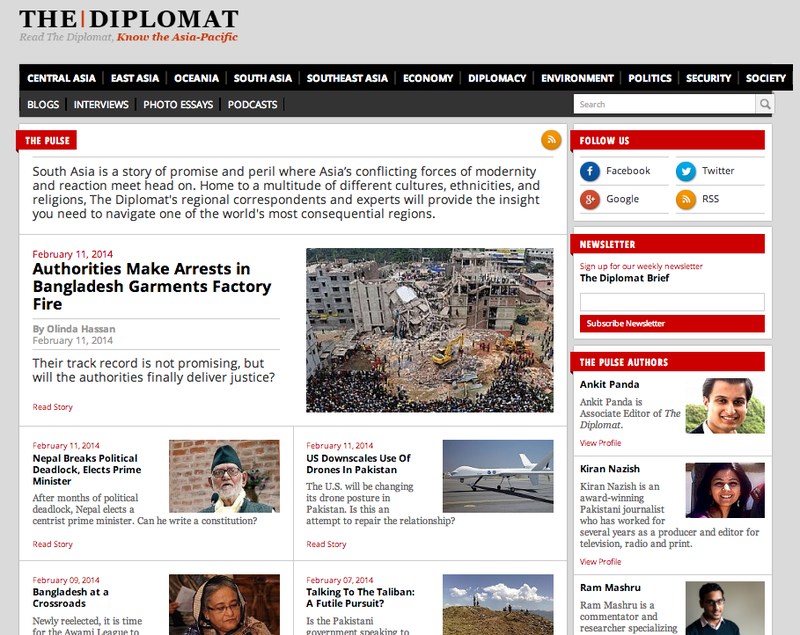 My article on the recent arrest of the owners of the Tazreen Fashions factory in Bangladesh has been published in The Diplomat. This is in response to the factory fire that killed more than 1,000 people in April 2012. I focus on the police force and the lack of justice served in Bangladesh, and what this much-talked about disaster could mean for the system. To read, click here. Their track record is not promising, but will the authorities finally deliver justice? On February 8, the owners of the garments factory in Bangladesh that burned and killed more than a hundred people in April 2012 finally surrendered to the police. Delwar Hossain and his wife, Mahmuda Akter, along with eleven associates are charged with homicide for the fire, which prompted an international debate on corporate responsibility in developing countries. The charges are significant because it is the first time that Bangladesh has sought accountability from leading players in the lucrative garments industry, a powerful political and economic player. It is a test of Bangladesh’s police force and the legal system, at a time when they are coming under increasing public scrutiny for what is perceived as their laissez-faire attitude towards the rich and powerful. At around $20 billion, the garments industry in Bangladesh accounts for a significant portion of the country’s export industry, with shipments mainly going to the U.S. and Europe. A poster child for development economic research and nonprofit work, the industry has been hailed by academics for increasing the role of the private sector in what is a late bloomer emerging market. With women accounting for the majority of workers, researchers and international development bodies alike have credited garments manufacturing for increasing employment opportunities for women and helping to bridge the rural-urban divide in Bangladesh, praising the industry for its indirect facilitation of gender advancement in Bangladesh socially and economically. Following the fire in April 2012, along with several other deadly fires in the following months, this praise has been overtaken by stories of harsh working conditions and poor pay, attracting attention from human rights organizations, mainly from the West. While authorities and global clothing companies have vowed to improve safety standards, it is often forgotten that the issue goes beyond the rights of workers, to the very nature of the country’s police enforcement and legal system. The arrests of Hossain, Akter and their associates has shone a light onto an uncomfortable arena: the power of the police, one of the most mistrusted agencies in Bangladesh. The power and fragmented nature of Bangladesh’s police force is an uncomfortable discussion. Following the fire in the Tazreen Fashions factory, local police cited insufficient evidence to bring a case against the owners. However, further investigation found that some managers had in fact closed the gates that would have allowed workers to escape the fire, and even told workers that it was a regular drill. The building had no emergency exits or a proper monitoring system. Even getting this far in the investigation was a power struggle; everyone knows that there is something profoundly wrong with the way that these factories are run, but no one does anything about it because of their lack of faith in the police. In incidents involving garment factory fires, factory owners are rarely charged or held responsible. The Bangladesh Garment Manufacturers and Exporters Association, a quasi-governmental body that is supposed to regulate export relationships, rarely faces charges, such is the influence of its leaders. Look no further than its glittering headquarters in Dhaka, which the Bangladesh High Court ruled sits on illegally obtained land. Despite a court order for it to be demolished more than two years ago, no action has been taken. Yet the Tazreen fire was the deadliest factory fire in the history of garments manufacturing worldwide. The EU and the U.S. have placed and continuing to threaten Bangladesh with trade sanctions. In the meantime, stories were heard of protests abroad, from people far removed from the Bangladesh experience, against companies like Wal-Mart. Whether this sustained international pressure was what finally motivated the police to file charges against the owners of the Tazreen factory a full year and a half after the fire will remain a point of contention. The police in Bangladesh are seen as both powerful and indifferent to the public they serve. It will be interesting to see if in this tragic case authorities can successfully separate justice from political power. A few days ago, a good friend sent a sarcastic note to me about how our program could possibly live without our eight-member student governing board. It was sent in the middle of elections as we transitioned into a new board. As a former and current student in a “leadership position,” I am used to hearing criticism and how we do nothing and like to throw around phrases like “representing the community.” Criticism is second skin to those who run campaigns and get elected to be the X position of a student-run body. Popular media has done a good job of presenting student elections as nothing more than a power trip for candidates who are riding on their egos and talking the talk so that they can put something on their resume. Once elected, they swim in their popularity and host pizza parties to bring people closer together when really it is bunch of friends of friends using fundraising budget for fun. Stereotypes don’t come out of nowhere, so there is a degree of truth to the kinds of students that run for and serve on student bodies. However, such discussion takes away from the actual work that many of us do, and all the failures that we face on the way. Those doors really do slam you on the face. Don’t worry about hurting our feelings. If you want to criticize, take a moment to talk about us in our respective role, rather than us as individuals, your classmate, roommate, or basically, a real person. I know it is hard to see us outside our roles and you love putting us in a hoity-toity box, but we volunteered to be in this position. Like the way we keep work separate from personal, do the same when you don’t like our last happy hour event or the roundtable that you could not get a seat for. 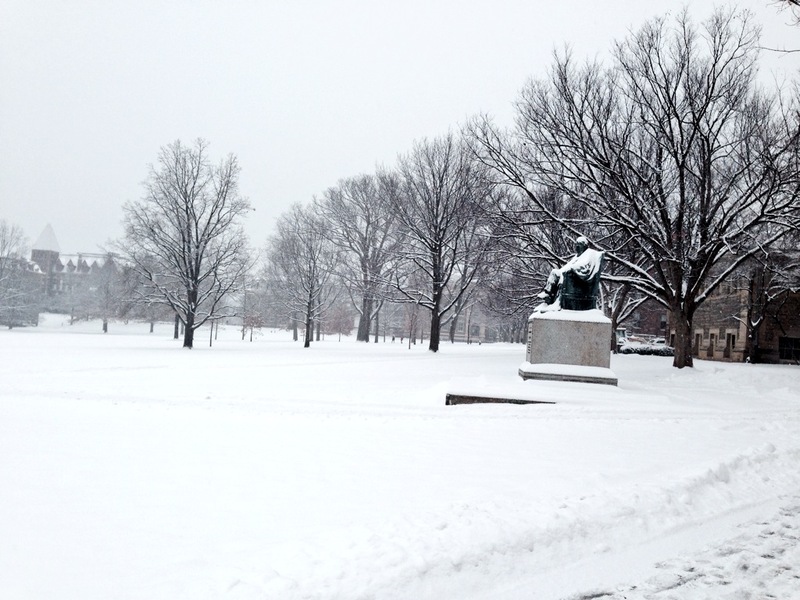 Student Events are not organized out of the blue. We are all part of a bureaucratic system. What organizations don’t reveal is the amount of failure that we must go through before landing something. This year, me and the Vice President of our organization ran the program-wide election for the next board, which included issues with our information systems (we are our own IT guys). Often, a member must take on the responsibilities of another member and forgo their own objectives. Example: arranging a social event for the program and overriding board members’ opinions, managing human resources, understanding the budget, and continuously negotiating with staff, graduate office, vendors, DJ, etc. Sometimes, we just can’t be transparent about our budget because we ourselves are trying to figure things out to the best of our abilities. I am not asking for some slack, but just some thought into the fact that nothing happens magically. Student Leaders cannot represent everyone. While not being able to represent is an issue, many do try. At my current program, we have a diverse student body by race, nationalities, work experience, age, academic interests, and professional goals. Not all of the workshops on professional development or international panels will attract everyone. The privilege of being in a diverse institution is being able to learn from each other- we foster this through micro-level event planning and outreach coordination. Perhaps the issue is that not all of us in our personal backgrounds are relatable to the greater student body- can anyone represent everyone, really? Thus, it is important to think about the fact that some of us, if not most, do try, and must try. Of course being able to say that you were in some position of an organization helps your resume. As we enter an increasingly competitive academic and professional landscape, individual leadership is one of the ways that applicants try to distinguish themselves. However, it is easily forgotten that once a student is in a position of power, he or she actually has to do things that are required of that title. How an elected leader will practice managing his or her role is an issue for debate but no one gets in a position (especially when it is from a campaign perspective) by being idle. It is a bit offensive to be told, whether jokingly or not, that I am only after polishing my resume– it discounts the fact that some of us are actually students, still taking classes, and voluntarily doing this for because we, to some degree, want to spend hours working for our program (that could otherwise be spent on a longer nap). We are all also students, just like you. Student leaders have to be able to manage school, leadership positions, as well as their social life, and personal care (Shower? Sleep? Lunch? ), giving us lots of time to complain about our work, too. If I am unable to fulfill an obligation or do not respond to an email in time, maybe it is partly me being a bad leader. Or, maybe it is because I have midterms, too. Leadership positions complement my studies; it does not take over it. Especially at the graduate level, when we are all adults and have had some real life experience, I wish that this hierarchy of priorities could be understood. We are all also paying for an education (and getting into massive debt on the way) so that we can learn from the same classes that you complain about, too. Student government exists because people want to be represented. You need certain people to build webs between stakeholders in an academic institution. Complaints and critiques are part of human nature. As I end my term as the Outreach Chair of the Cornell Public Affairs Society, I don’t expect that people will remember what I did or we did as an organization, and I don’t want that. But for most school leaders who worked hard as a group for a year and through the summer break, admit that at least, some of us are trying. If anything I have learned the power of communication and I hope that for the next generation of student leaders, continue doing what you do—use the criticism to better yourself (and at the same time, do learn to respond to those emails fast). Newtonian physics… described a universe in which everything happened precisely according to law, a compact, tightly organized universe in which the whole future depends strictly upon the whole past. Such a picture can never be either fully justified or fully rejected experimentally and belongs in large measure to a conception of the world which is supplementary to experiment but in some ways more universal than anything that can be experimentally verified. We can never test by our imperfect experiments whether one set of physical laws or another can be verified down to the last decimal. To credit of feminism, increasing number of women are not subjecting themselves to the misbehaviors of their significant other. Huma Abedin forgiving her husband yet again for his lewd behavior is a step backwards in this progress. In a diverse country like the US, you are always looking for a figure to relate to. When I first heard about her few years ago, she was a bit of a breath of fresh air – she was a young Mulism South Asian American engaged in American politics. 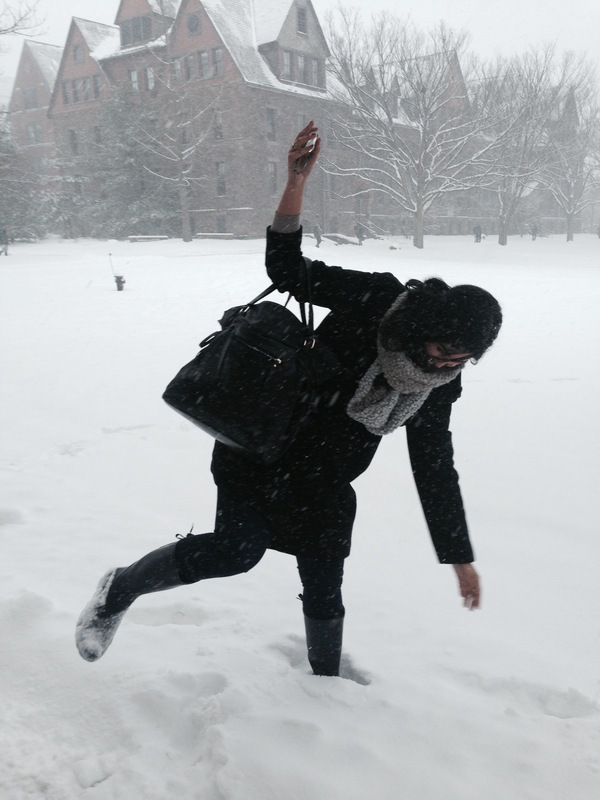 For a Muslim South Asian American woman like myself also studying public affairs, it was hard to not be impressed. In a response to the scandal second time around, she wrote, “Quite simply, I love my husband, I love my city, and I believe in what he wants to do for the people of New York.” The thing is, it is not that simple, and labeling this entire episode as simple is also just offensive to women. Why should we have to forgive? Why does she feel the pressure to forgive and stand by the side of a supposed life partner till death do them apart who has little to no respect for the embarrassing position that he has permanently placed on his family? Why do the wives of prominent political figures have to play that role of standing on the side as he apologizes and she too apologizes and keeps smiling on few weeks later and show that life has moved on? I am not thrilled to see Abedin be supportive of her husband Anthony Weiner after reports of his sexting came about (again). It is the same story that led him to resign from Congress in 2011 when in his speech he had promised that this would never, ever happen again. The first time around, Huma said she wanted to forgive for the sake of their child. I am baffled with public figures that seem to be oblivious to Google and Twitter and how easy it will be for that child to learn about the world. Flash forward to the current mayoral race in NYC and here we are, again, this time with another graphic photo of him appearing online. Likewise, the woman with whom he had these sexting episodes did not take too much time to go ahead and talk about it with the media, with a bit of a smirk. Basic Google search reveals the texts which themselves shows how disrespectful he is himself towards women. Going back to Abedin, let us also not blame this on her “Muslimness” or her upbringing in Saudi Arabia. Suggesting such a thing, like Maureen Dowd’s Sunday New York Times column is absurd and also offensive. Finding an angle to pick on Islam might seem pretty easy but let us not get to such a low level during this phase of American politics. Getting back to the point– what we see is that Weiner is, well, human, making human mistakes that we normal people deal with from time to time. However, he is a political figure burdened which certain responsibilities to the public that he knowingly accepted. He chose this path so I have little sympathy for a man who knows his world and yet makes a mistake of makings his acts so public on the internet- a mistake your basic average American can avoid. In addition, the entitlement that he seems to feel for his position masked him to the risks of exposure- afterall, he is powerful so he should be able to get away with anything, right? It certainly seems so since he is not losing his wife and people seemed to completely disregard the power of making public promises to behave and its implications two years later. He even sounded bored when he addressed the press after the exposure this week. I cannot help but ask the question, which has been hanging in the air or the spaces, which I have traveled in these past few years. When does a place really belong to you? If the idea of a home is so fluid, then why do we constantly seek it out and need to build a space for it. Time away from the familiar always gives opportunities for thought, and perhaps lot of chances for thinking things over.